Mobilegeddon is here. We have fresh data in the software and now there are some significant changes visible in the data. Although Google communicated that the rollout would probably last a week or more, we can see some winners and losers already. These first results may be (yet) considered as preliminary when it comes to some examples, but definately, there is a clear trend emerging. Please note: The Mobile SEO Visibility is a KPI intended to measure Visibility differences between Mobile and Desktop performance based on identical search volume calculations. The observations refer to the change of SEO Visibility of domains regarding the last two data points. The actual impact on a domain’s traffic will be specifically different. 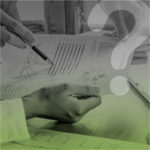 The data has been freshly retrieved and is already available in the Searchmetrics Suite. Since the rollout of the Google Mobile Update is to take place over several days, this is a preliminary analysis based on data from today. Searchmetrics Suite customers are able to analyze their own domains as well as every other domain for Desktop and Mobile performance here http://suite.searchmetrics.com/en/research/domains/organic/mobile. We see a very interesting phenomenon in the US. Believe it or not, I think Mobilegeddon began rolling out in the US last week. We see the same pattern of massive winners and losers with the data from last week. This is very interesting because obviously, everybody was focused on April 21st and compared it to last week. The fresh data shows some ongoing downtrends of several losers from last week’s data. 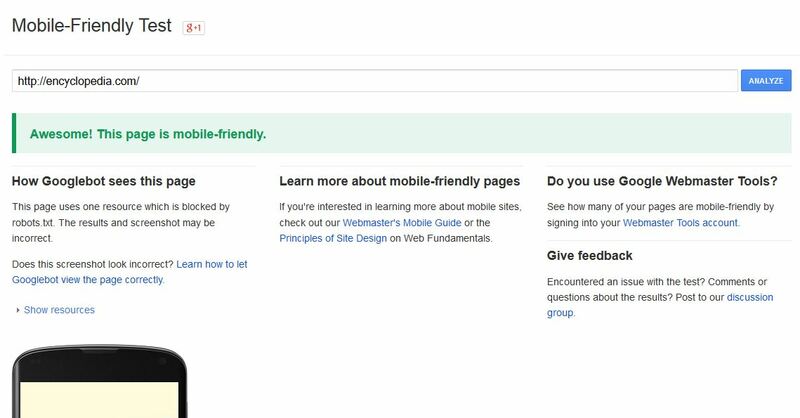 According to Google, the rollout of the mobile-friendly update began globally in the early morning of April 21st – and from now on the mobile user-friendliness of websites is a global ranking signal. 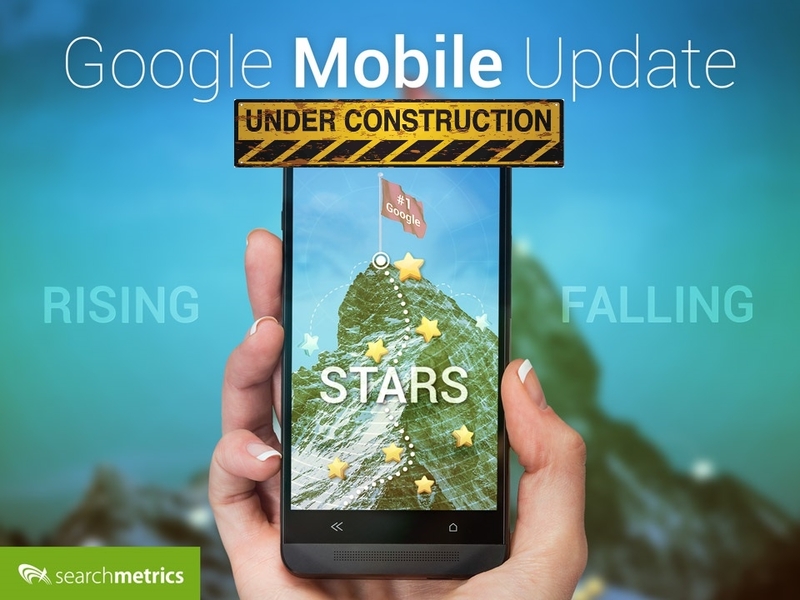 The update impacts mobile search queries only – not desktop. 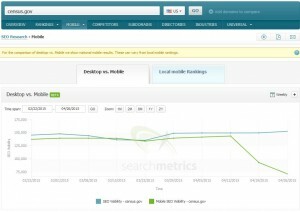 And for these mobile SERPs we have determined the winners and losers of the update for US domains. We have now determined the winners and losers of the Google Mobile Update in a first quick analysis. I included the top 50 of each list in the blog. This time, we are also making them available for download as a PDF. 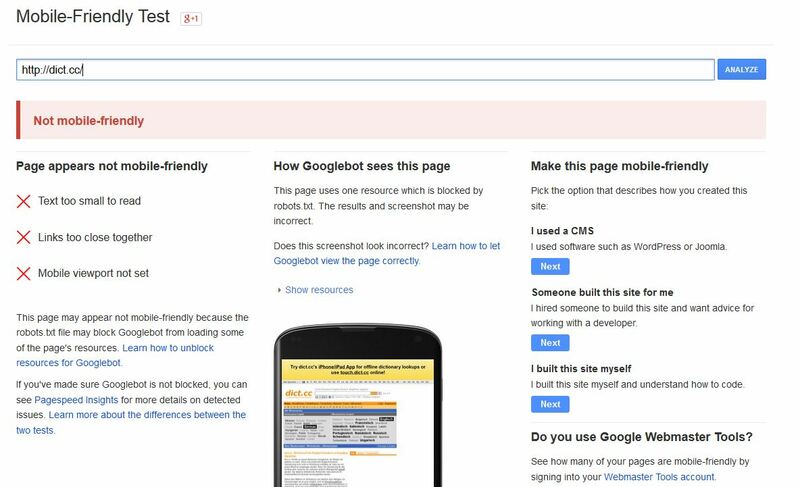 The mobile-friendly classification by Google is done URL-by-URL, not on a domain level. 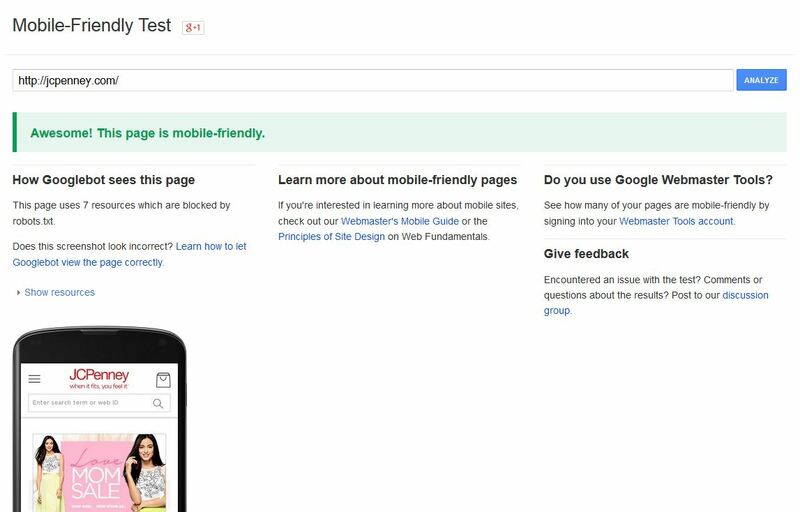 Nevertheless, the Google mobile-friendly Test only provides an evaluation of the respective homepage of a domain. 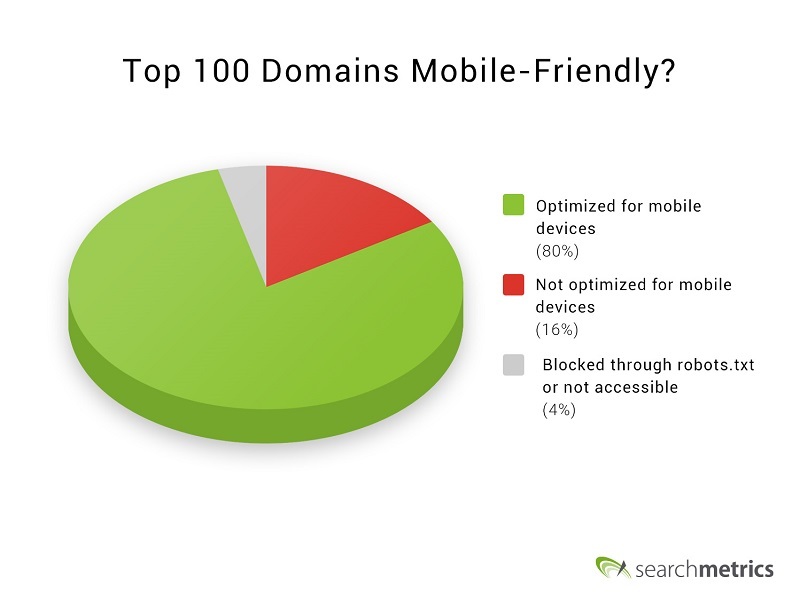 To make a valid statement, whether – and to what extent – a domain is optimized for mobile, you have to relate the number of mobile-friendly URLs of the domain (if there are any) to the respective number of non-mobile-friendly URLs of this domain (if there are any). It is only then that you are able to draw a more reliable conclusion for a connection of mobile-friendliness and update impact than just looking at the output of the Google Tool. We are currently executing these calculations and will update the data as soon as we have the results. Here is a list of Mobilegeddon losers based on our current data set. Please consider the results provisional given the fact that the update is not supposed to be finished yet. We also considered the trend of Desktop Visibility in the calculation of the following lists in order to filter developments probably not related to Mobilegeddon. This is why the data here (and the PDF) varies from the data in our software which is based merely on Mobile Visibility trend. Important is to take the “Ratio Mobile vs Desktop” into account. 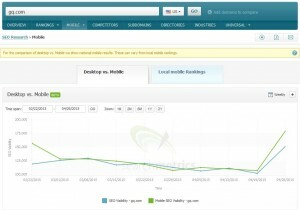 It shows the difference between the performance in Desktop rankings and Mobile rankings. The lower the ratio, the worse is this domain ranking in Mobile compared to Desktop. These domains are the losers of the Mobilegeddon update. Here too, we have the Ratio Mobile vs Desktop. The higher the ratio the better is this domain ranking in Mobile than in Desktop. These domains are the real winners of the Mobilegeddon update. A deeper look at a few examples shows that some changes may not be just due to the update. This becomes clear when you compare the Historical Mobile Visibility of some domains with their Historical Desktop performance. Sometimes, both are increasing/decreasing at the same time. In these cases, there may be another reason for the current developments. 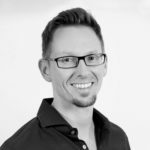 But when the Mobile Visibility develops independently, and there are not the same changes visible to Desktop, it is highly probable to be update related. 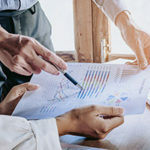 Yet, there may also still be some domains in the list of this week’s winners and losers here and in the software, whose Visibility changes may not be related to the update or may have other reasons. For example the Mobile version of the domain huffingtonpost.com is huffpost.com. This is why these domains are on the respective list. And as I said, there may be other reasons when also the Desktop Visibility is affected by specific changes equal to Mobile. This is why we have considered the relation to Desktop Visibility changes in the calculation for the winner/loser lists in this post and the PDF. In the run up to the update we have already carried out an analysis of how many of the top 100 SEO visibility domains are ‘mobile-friendly’. Result: As late as the beginning of April 2015, 16 percent had not been optimized for mobile devices. This included domains such as azlyrics.com, pbs.org, last.fm and nih.org. It is fascinating to see that three of these domains were affected by Mobile Visibility losses already last week (although the Google tool says the homepage of the domain azlyrics.com is now mobile-friendly). 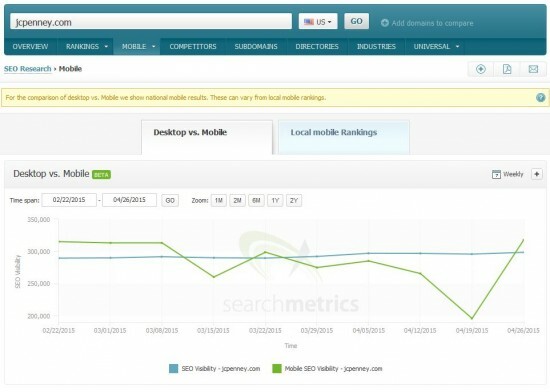 Our first analysis of the winners and losers of the Google Mobile Update shows some massive changes in the Mobile SEO Visibility. And when these changes happen without affecting Desktop Visibility, they are very likely to be connected with the Mobile Update. 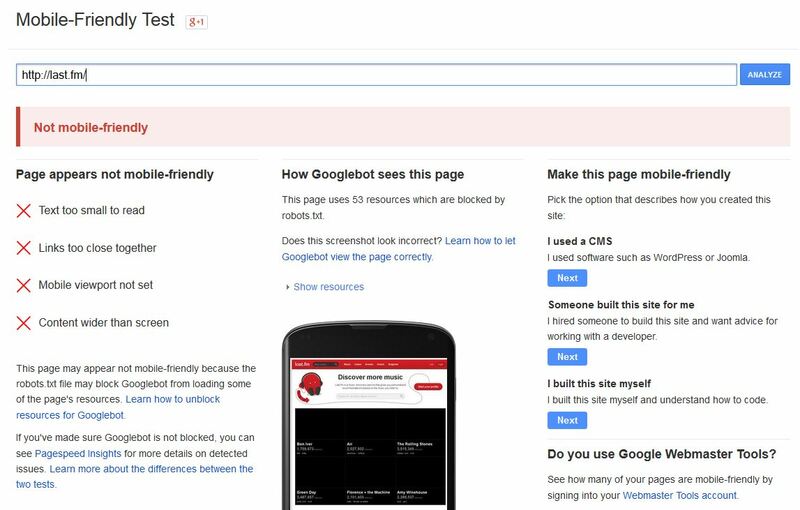 Conclusion: Mobilegeddon is here – it may already have been rolled out some time earlier – and it may be not finished yet. Affected by the Update? Here Is What You Can Do Now! Have you been caught with a site that isn’t mobile friendly? If so, you should check your Mobile performance now! We will continue to check the data and provide updates as soon as we discover any new developments. That said, it should be clear to everybody that Mobile as a topic as well as Mobile performance are of enormous importance. Moreover, I can’t say it often enough: Local parameters play an even more important role regarding Mobile than for Desktop. Keep that in mind. There have been some voices and comments hyping #Mobilegeddon (have you seen the load of Tweets with this hasthtag on April 21st? Incredible!). I admit, it has been crazy. But, Google does not play around and make such announcements just for fun. I think the update may even become bigger than some might expect it to be. How big of an impact it will have? We will only be able to know this once the data has settled. 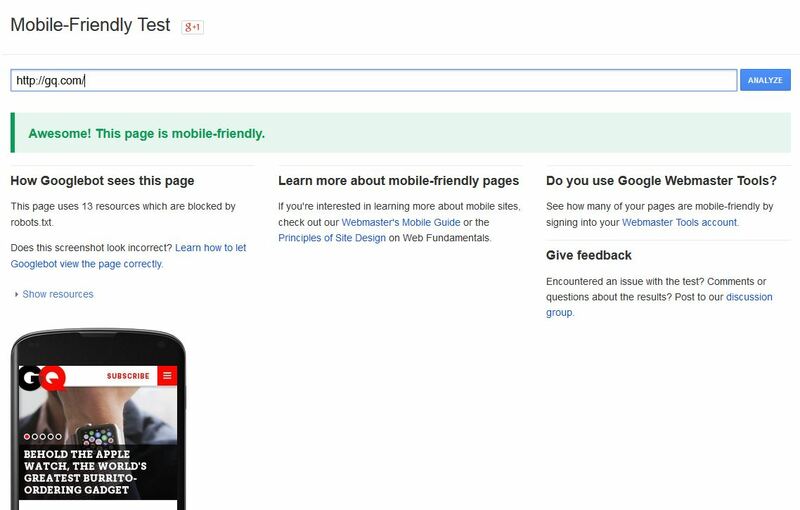 And, for anyone who wants to catch up, I previously summarized the background, a short ‘how to’ and several answers to the most important questions on mobile optimization in the article Google Mobile Update: Everything you need to know! How about you? 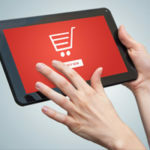 Have you realized some effects on your traffic? I’m looking forward to a discussion in the comments! 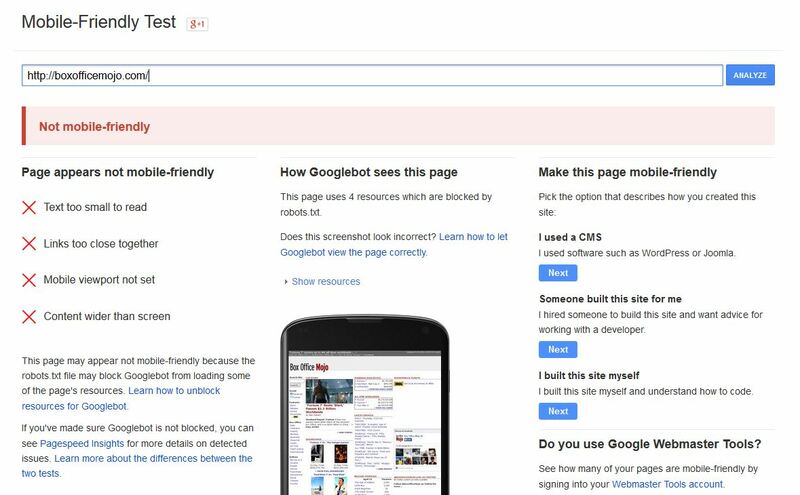 I just ran a mobile friendly test and page speed insights VIA GOOGLE on the tvtropes and it showed error occured. Possibly working on the site. My sites have had pretty good speed and mobile friendly prior to Google update and one site dropped about 4 pages. Some competitors sites have terrible speed and have not dropped and even increased without good overall SEO. My personal trainer site has bumped back up a few pages, but there are flaws in the Google update IMO. My website is also Mobile-friendly. But I am not notices any major changes in traffic of my website since the update. still i have question Is this mobile update affetcs on any website? It’s definitely had an effect, however in local search niches it’s harder to justify to potential clients, as sometimes even low quality sites are still showing up in the top positions simply because there’s (not yet) a competitor with a well structured and responsive site. Https has had a minimal effect so far, but I’m only testing this on a small number of sites so can’t say for sure. Good analysis, my website traffic increased by 20-30% after this update. Looking for more traffic in future. Very informative article, lot of useful information for beginners looking for a quality article on google mobile. 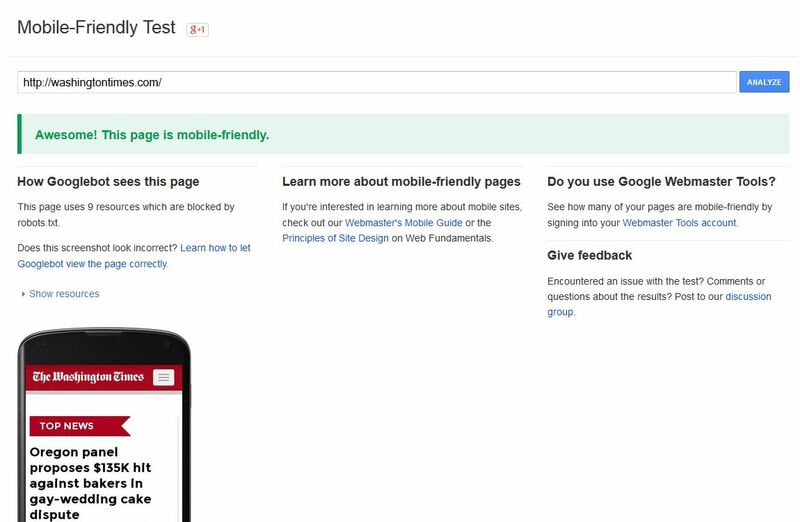 Very impressionant concept about Mobile Friendly 🙂 We can learn much more about the quality of some websites. Even though our blog mobile friendy, many metrics that influence to be ranked on first page. Quality content, social signals, backlink from high authority site is among of them.